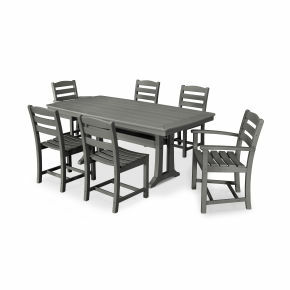 Nothing brings family and friends together for good food and great times like the POLYWOOD® La Casa Café 5-Piece Dining Set. 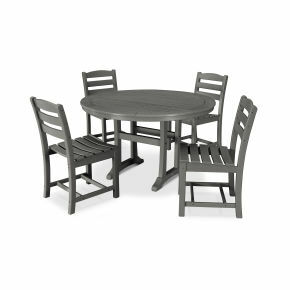 This cozy set, which includes four comfortably contoured La Casa Café Dining Arm Chairs and a spacious Round 48" Dining Table, is sure to become the heart of your outdoor entertaining area. 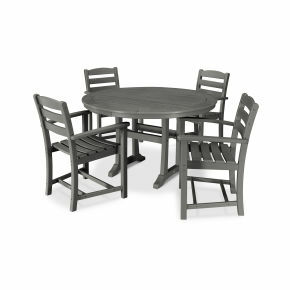 Nothing brings family and friends together for good food and great times like the POLYWOOD® La Casa Café 5-Piece Dining Set. 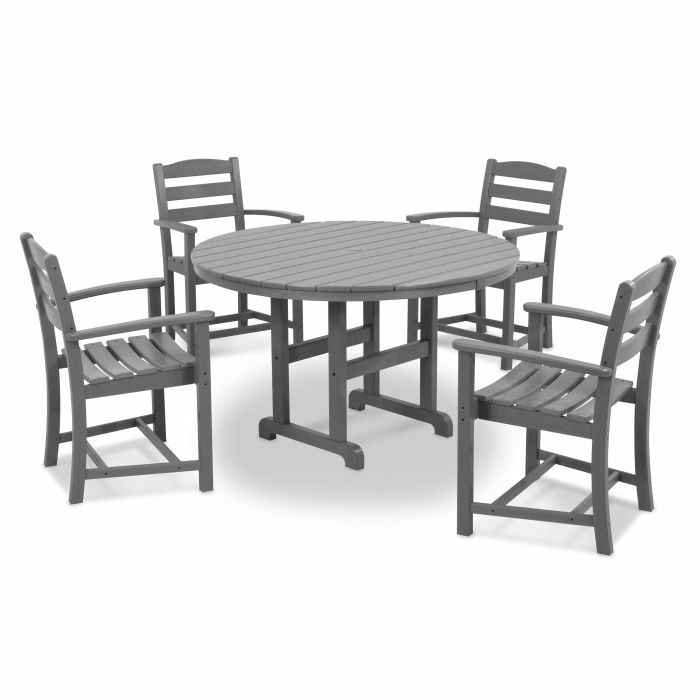 This cozy set, which includes four comfortably contoured La Casa Café Dining Arm Chairs and a spacious Round 48" Dining Table, is sure to become the heart of your outdoor entertaining area. 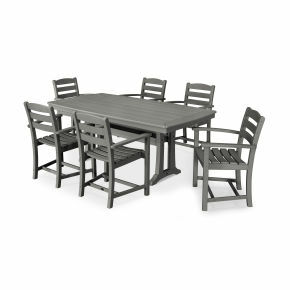 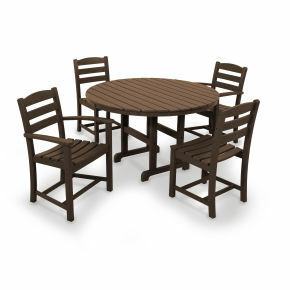 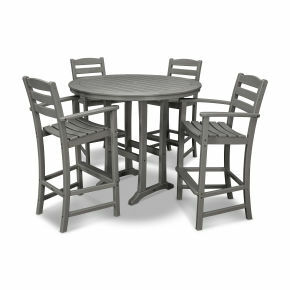 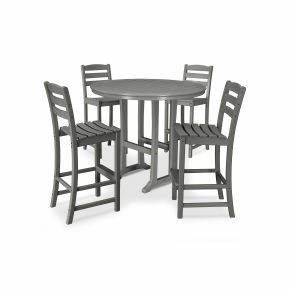 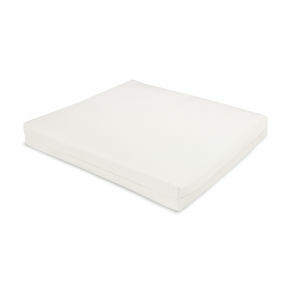 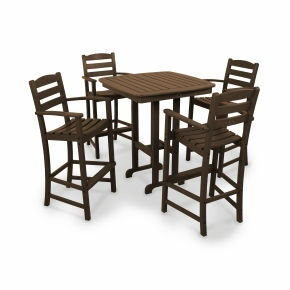 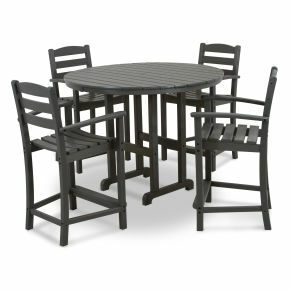 This durable set is built to last with solid POLYWOOD® recycled lumber. 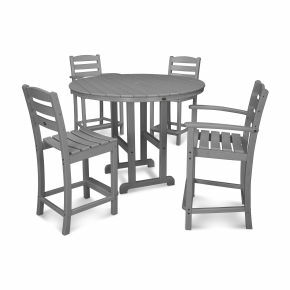 Available in several attractive, fade-resistant colors, it's easy to maintain, easy to clean and resistant to all types of weather and other environmental stresses.